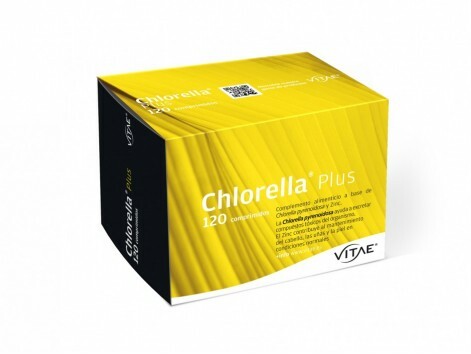 Vitae Chlorella Plus 1000mg 120 tablets (intestinal transit). It helps to detoxify the body conducting an anti-aging effect. Based food supplement Chlorella pyrenoidosa. It helps to detoxify the body conducting an anti-aging effect. Chlorella is a single-celled freshwater algae existing on Earth for more than three billion years ago. Contains chlorophyll, nucleic acids, proteins and vitamins such as vitamin A, vitamin B9, vitamin D, vitamin K, chlorophyll and zinc. 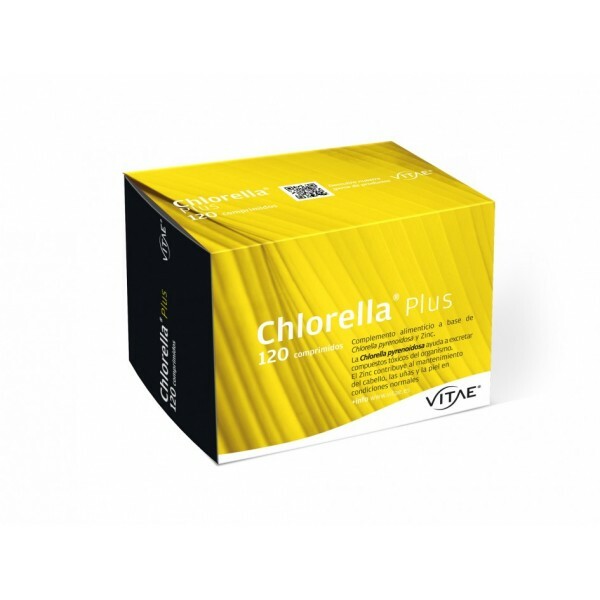 Chlorella pyrenoidosa helps the body excrete toxic compounds, and helps maintain vitality and activity of the organism. The Chlorella pyrenoidosa of Chlorella® plus presents the broken cell wall. Directions: Take 2 tablets 2 times daily, preferably before meals with plenty of fluids.